Time & attendance and Access Control terminals with integrated biometrics. • Proximity tag (tag alone or tag+fingerprint). The wide 4.3” colour display with 480×272 pixel resolution offers detailed, well-defined reproduction of the screens, so transactions can be displayed and selectable reasons can be entered with a simple touch. 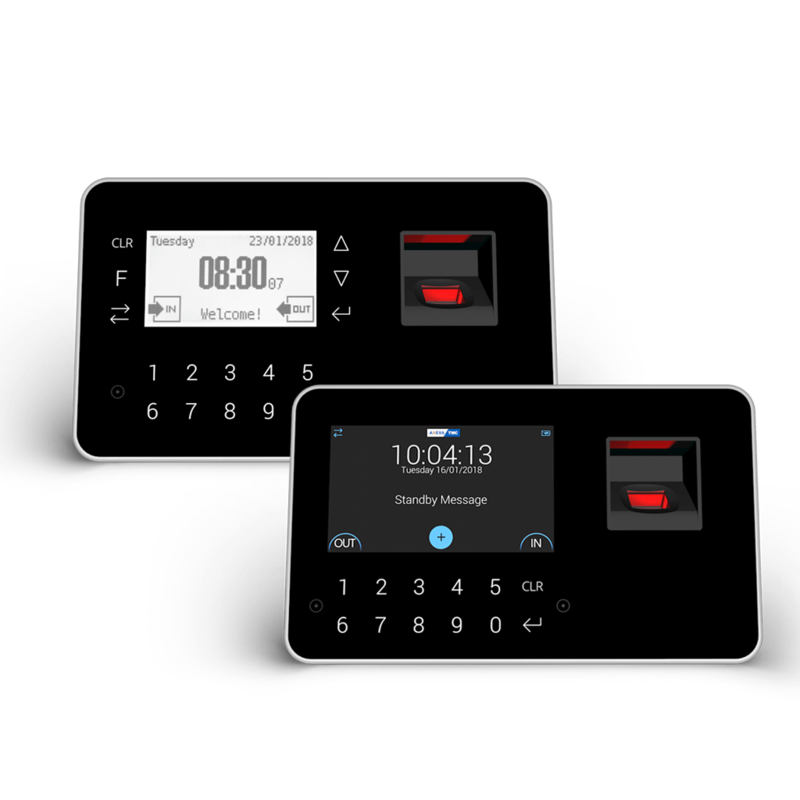 The terminals of the XBIO Family range are equipped with numeric keypad that enable identifying the user with: code alone typed on the kaypad or code associated with the fingerprint. The terminal can store up to 9.500 fingerprints (version “Plus” up to 25.000 fingerprints) and manage up to 9.900 users. The fingerprint image is not stored, but only its encrypted model. It is also possible to memorize the fingerprint on the user’s card (smart card, e.g. Mifare) which allows to exceed the limits of fingerprints and also avoid the storage of biometric data subject to special security rules. X2BIO and X3BIO are multifunction devices for top security applications thanks to their integrated biometric technology in conjunction with an internal RFID reader. Perfect for both applications, Time&Attendance and Access Control also in combination. Intuitive interface thanks to the clear graphic display with the addition of touch screen technology on X3BIO.